Did you know that your pooch could be the difference between life and death for another? Or even four others? By becoming a blood donor, your canine companion could help save a life! 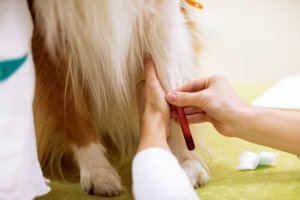 Negative dog blood is currently low in the UK and because of this, Pet Blood Bank is looking for the owners of certain breeds to come forward. With around 15 transfusions on average being carried out per day, it’s important we spread the word and get people talking about canine blood donations. The aim is to collect as many units of blood per year as possible. As each donation collects one unit of blood, this means Pet Blood Bank needs plenty of pawsome superstars to come forward and donate this year! What are the different types of dog blood? Dogs have two blood types, DEA (Dog Erythrocyte Antigen) 1 positive and DEA 1 negative. Negative blood is always in particular demand as it can be given to positive or negative dogs and dogs that have not been blood typed. However, only 30% of dogs are negative. Dogs are not routinely blood typed unless they are donating or receiving blood. However, there are certain breeds which are more likely to have a negative blood type. These breeds include Dobermans, Greyhounds, Boxers, German Shepherds, Flat-Coated Retrievers, Airedale Terriers, Weimaraners, Lurchers, and Pointers. So, why is there a shortage of dog blood donations? 26% of the UK population own a dog, but a large number of owners don’t know that their dog could be a blood donor. Often, the only time people tend to hear about transfusions is when a family member or friend’s dog needs the service. Encouraging more people to sign up helps to ensure that Pet Blood Bank can keep this service going. We’re sure you would want this service available should you suffer the misfortune of one of your own dogs needing a transfusion. Pet Blood Bank will ensure your dog meets all the requirements prior to attending a blood donation session. Any questions or concerns you may have can be worked through with the Pet Blood Bank team. Around 75% of donors who are assessed as suitable to attend a session on criteria will go on to become donors. How is the dog blood used? Few dogs will require transfusion of whole blood, so splitting the blood into components allows a single unit to help save the lives of 4 patients. The separated components include red blood cells and plasma products. These blood components are used depending on the specific condition that is being treated; for example, plasma is used to treat blood clots, whereas packed red cells may be used for blood loss after an accident. Packed red blood cells can last around 6 weeks from the date of collection, whereas the plasma portion can last up to 5 years. What’s involved in the blood donation process? In 2016, Pet Blood Bank collected over 1,000 units of dog blood and dispatched over 3,000 blood products to vets throughout the UK. Every unit of donated blood has the potential to help save the lives of up to four dogs. Blood donations in dogs are very similar to humans. A local anesthetic cream is used, and the dog receives plenty of praise and encouragement throughout the whole process. Donors have a thorough health screen with a veterinary surgeon on the day of donation and the health and welfare of donors is the top priority. The whole donation session takes approximately 45 minutes but the donation itself takes about 5-10 minutes. Once the donation is over, your canine friend receives a drink of water and a snack. They also receive a goody bag that includes a special Pet Blood Bank ‘I’m a Life Saver’ bandana and some doggy treats. Dogs are monitored after donating and sent home when the team is completely happy. Owners are advised to let their dogs take it easy for the remainder of the day but can resume normal activity the day after. What accidents require dog blood transfusions? The types of accidents that require blood transfusions include serious road accidents, injuries sustained during exercise (such as squeezing through fences), major surgeries, accidental ingestion of poison, lungworm infection and certain illnesses such as an overactive immune system. If my dog does donate, can we find out who has received the blood? The demand for blood is so high that Pet Blood Bank generally don’t notify donor owners when their dog’s blood is dispatched. Generally, blood collected will be distributed within 7 days of collection. However, Pet Blood Bank is able to track the blood back to the donor. Therefore, if you have been on the receiving end of the donation, you are able to say thank you to the donor who supplied your dog the blood. What should I do about insuring my dog? By insuring your dog, you are creating a safety net to help protect yourself from any unexpected vet bills. If anything bad happens and your dog needs a transfusion, it’s important that your costs are covered. 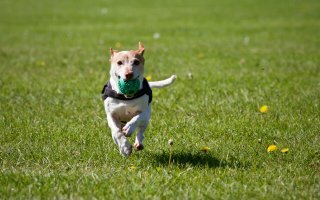 Check out the range of dog insurance policies we have on offer and find the right cover for you. Since they launched in 2007, the Pet Blood Bank service has helped save thousands of lives each year. It is the only charity that provides canine blood to all veterinary practitioners across the UK. All vets have 24/7 access to the service, so whenever a transfusion is required it can be performed. More than 9,000 lifesaving donors are registered with Pet Blood Bank UK. Although blood donations have increased year on year, we need to make sure they continue to do so in order to meet the increasing demand and sophistication in the treatments available to pet owners. The aim is to collect approximately 3,000 units of blood per year and if your dog is a suitable donor, you can donate up to 6 times a year. With ‘World Blood Donor Day’ just around the corner, get involved and register your dog today!